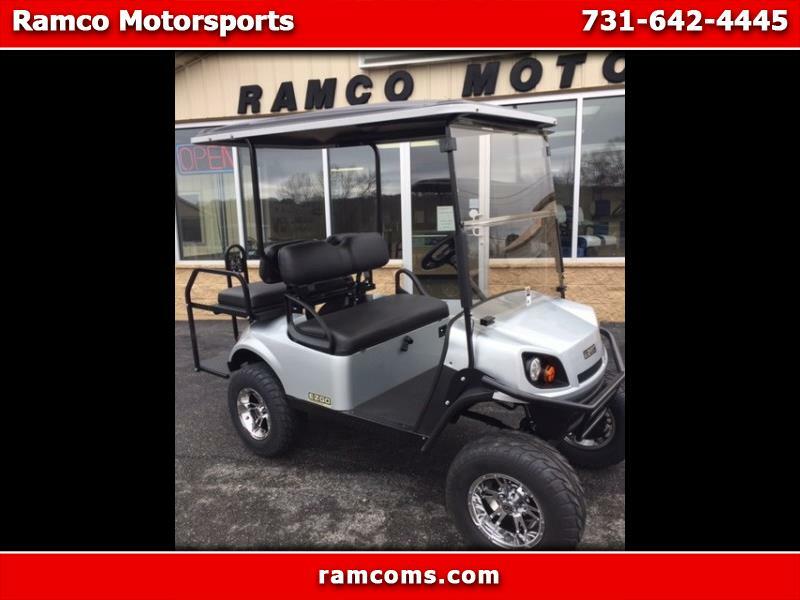 2019 EZGO EXPRESS S4 WITH KAWASAKI GAS ENGINE, REAR FLIP SEAT, 80" LONG ROOF, 4" FACTORY LIFT, BRUSH GUARD, HEAD AND TAIL LIGHTS, BRAKE LIGHTS, CUSTOM CHROME WHEELS AND STREET TIRES. CALL TODAY. THE NEXT UNITS WILL BE HIGHER DUE TO PRICE INCREASE.